For a mid-size tank, it’s always tricky to find the best filter. Many of the ones that you want are either too big and powerful or too small and they don’t get the job done. Right in the middle are the ones designed for medium tanks, but how do you choose the best one? 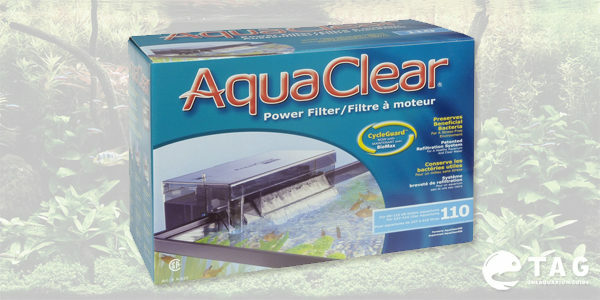 Among hundreds of different filters, one seems to be suitable for your tank—the AquaClear 110 Aquarium Power Filter. It will keep the water clean at all times and you don’t have to think too much about maintenance. When you purchase a new filter, you don’t want to spend hours trying to figure out how to assemble the pieces. This hang-on filter is compact and it’s made from high-quality plastic. You just have to choose where to hang it on the wall of the tank. The filter draws water from the tank with the help of a tube; this water will pass through the filter and return to the tank completely clean. Medium-sized filters don’t always allow you to add as much filter media. AquaClear 110 allows up to seven times more media filter than other similar products. This is a clear advantage you can’t neglect; some types of fish can produce more waste than others and the water needs to be clear at all times. You can obtain the perfect mechanical, biological, and chemical filtration with this one single device. Find out the different type of filter media that you can use. UV filtration is not common in many other filters, thus for this specific feature you should consider this device. The device has a UV filter option that you can use for algae control. Find out other ways to control algae. Naturally, you will not use it all the time, especially if your tank is heavily planted and you want to encourage your plants to grow. 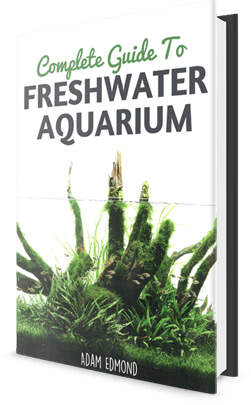 Either way, it is great for those moments when you feel that algae is becoming out of control and you don’t want to use chemicals or get a bunch of algae eaters to stop the growth. 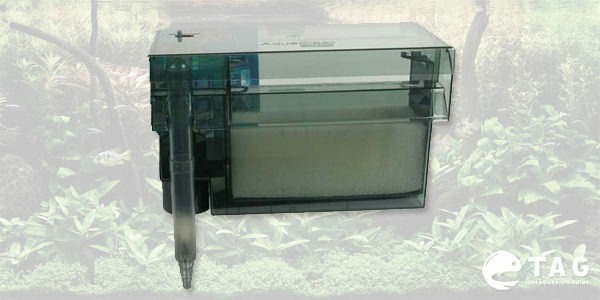 At the same time, this also makes the AquaClear 110 extremely versatile; you can use it in tanks with or without fish. Sometimes you have the chance to find a really good filter, but it seems to disturb your tank. The flow may be too strong and the fish cannot go near the filter, not to mention that the plants are always pushed in the opposite direction. AquaClear 110 Aquarium Power Filter allows you to choose how strong you want the flow to be. If you change the filter into a smaller tank, all you have to do is adjust the flow rate; it will not compromise the filtering process in any way. The device will still function at maximum capacity, but you will not see any obvious movement in the water. You want to get the best from this device; therefore, it’s recommended to clean it every two weeks. Even if this might be a hassle to some people, the cleaning process is very easy. The filter is designed to give you the best experience, thus it will not take you more than a few seconds to remove the cover. Remove the filter basket and clean it with warm water to remove any waste. Put everything back and plug it in! As for the filtering media, it is entirely up to you how often you change it. Some materials need to be changed every few months, while others need replacement every few weeks. To save some effort, go for the ones that are more effective in the long term; your fish and plants will be healthier even if you change the filtering media more often. Read more about filter media here. The manufacturer offers a lifetime guarantee for the filter. The device is not expensive, but even the small price you pay is completely worth it. In the end, you will have an amazing filter for the next few years. If you are still considering, I would strongly recommend this filter as you can’t go wrong with it – plus there’s a lifetime guarantee. Click here if you want to find out more about this filter or you can buy it now by clicking the button below! Many blessings to you and all of yours!